This week I have new music from Toe, Alien Boy, El Ten Eleven, Double Grammar Zone, and more. This week I have new music from Death Cab For Cutie, Bedbound For Summer, The Mighty Mighty Bosstones, Giraffes Giraffes, and more. This week I have music from Drive Like Jehu, Cap n Jazz, Brandtson, Death Cab For Cutie, and more. This week we review Broken Circle’s new split 7″ Everything Melts Eventually and look back on 10 years of Death Cab For Cutie’s Plans. There was a minor indie kid freakout when Chris Walla announced he was leaving Death Cab. What did it mean for the future of the band? How was this going to affect the sound and style of everyone’s favorite indie rockers? Settle down kids. It;s not like Death Cab hasn’t changed their sound in the past (Plans, Codes and Keys) and survived to still be one of your favorites. Sure, a stylistic change is bound to happen, but there’s no need to panic. 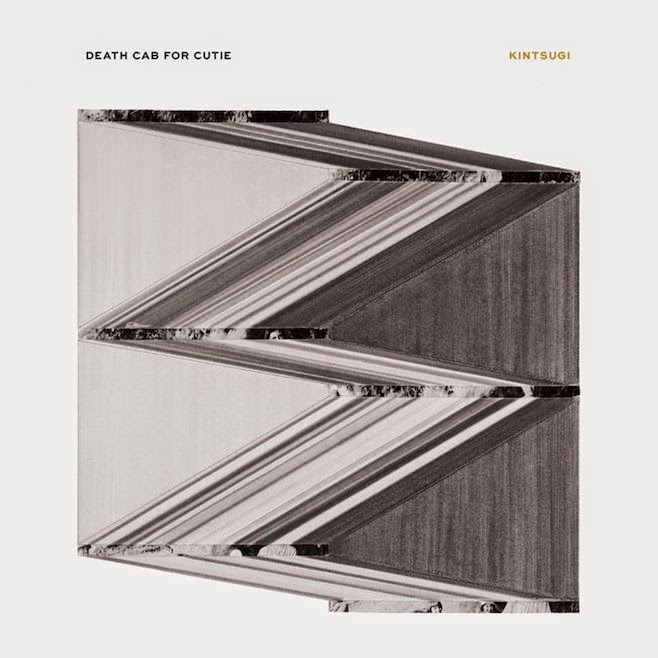 The guitar work on Kintsugi’s opener, No Room For Frame, is some of the most intricate and interesting I think I’ve ever heard from DCFC. The song is light and fun, an almost Pet Sounds influenced track. Gibbard’s guitar work quickly shines and continues to showcase a simple take on intricate sound lines in Black Sun. It’s as if the band thought they might start to be losing fans by placing The Ghost Of Beverly Drive up next. The song is a jangly pop throwback that sounds like some of the band’s classic work from The Photo Album or We Have The Facts. Songs like Little Wanderer, which have a slightly dark undertone, are kept upbeat and poppy. It seems as though there’s an infused new life and creative freedom for Death Cab. Things do get dicey after that. You’ve Haunted Me All Your Life and Hold No Guns just kind of sit on the record. No bad songs, but coming off the fun pop vibes, they just sit there, like sad sacks, You’ve Haunted eventually picks up but following that with Hold No Guns is like a dead weight in your gut. It’s not that the songs are bad, it’s just that there’s no subtle signs that a change is coming and instead you go from upbeat indie pop songs, to these pretty sad stripped down songs. This is why track order matters! The band tries to infuse more energy with Everything’s A Ceiling, a song that reminds you the band is now into electronics. (And you were trying to forget about Codes & Keys) It’s a double whammy if you hated Plans because the melody reminds me of those songs. (FWIW, I loved Plans) Good Help Is Hard to Find is a disco/Marron 5 type of guitar riff. It’s completely different from anything Death Cab has done before. From there we get El Dorado, with its open chord , heavy reverb guitar riff before busting into an electronic dance number. It’s a reminder that indie guys like new wave. Ingenue is another throwback style song. Guitar heavy with enough space to make sure the track isn’t over saturated and drowning in sound. Binary Sea is a little more upbeat than your usual Death Cab piano ballads, but Death Cab has also never been one to close a record out on a sad note. It feels like the song needed some extra layer. An epic instrumental build or something to give it that over the top punch to really close the album out strong. Kintsuigi might not be overly ambitious, but at times it feels like it’s too much. Maybe that was Walla’s primary function in the band. To take all the ideas and make sure there was a singular direction and flow to the album. Kintsugi feels complete and well thought out through flur songs before changing directions and the band is on to the next thing. I appreciate the creativity, but it’s not cohesive. 3.5 out of 5 Stars.